Today's Google Doodle celebrated the famous German composer and musician Johann Sebastian Bach. Bach is immensely well-known for instrumental compositions such as the Brandenburg Concertos, the Art of Fugue and the Goldberg Variations as well as for vocal music such as the St Matthew Passion and the Mass in B minor. 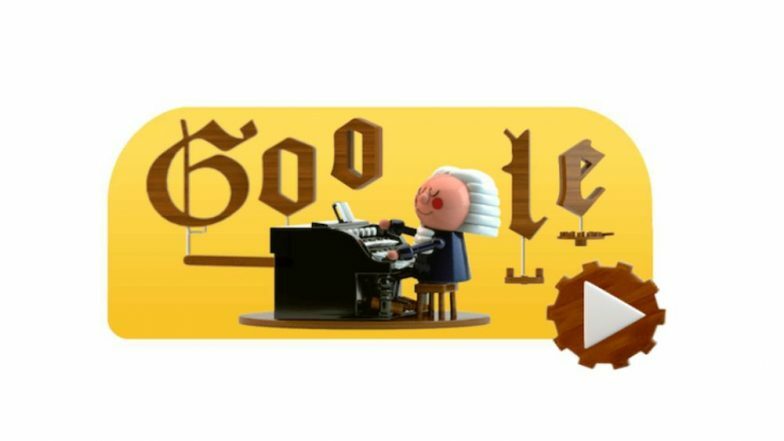 Today's Google Doodle celebrating Johann Sebastian Bach is powered by artificial intelligence that mimics the technique of Bach’s four-part harmony. The Doodle gives you an interactive experience that encourages you to compose a two measure melody of your choice. With the press of a button, the Doodle uses machine learning to harmonise the custom melody into Bach’s signature music style. Nowruz 2019: Google Celebrates Parsi New Year With a 'Spring' Doodle. Bach is known to be one of the influential composers of the Baroque era and to pay tribute to him right, and the Google Doodle created in his honour centres on the four-part harmony of which the four main voices are typically represented as soprano, alto, tenor and bass. If you want to try it out all you have to do is pick notes and assemble them. Press a “harmonise” button after you are done with the selection and this will add all four tones to create a more sophisticated and rich melody. He survived to see only a handful of his works published. However, more than 1,000 that survived in manuscript form are now published and performed all over the world. This amazing doodle to celebrate his work is based on a model developed by Google’s Anna Huang, the mastermind behind AI system Coconet. The AI system can do everything from harmonising melodies to composing music from scratch.